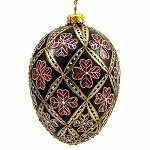 We are delighted to offer these remarkable blown glass eggs produced in Poland. 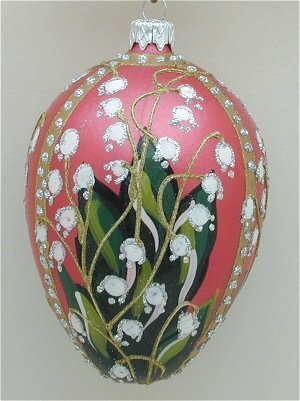 Each has taken hours of labor intensive painting and decoration to create the final effect you see. They can be displayed year round and will add a special touch to your home decor. 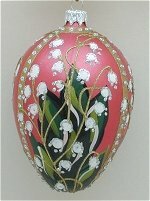 Mouth blown and hand painted in Poland. 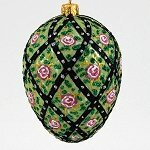 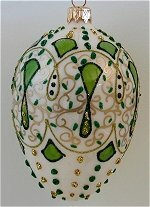 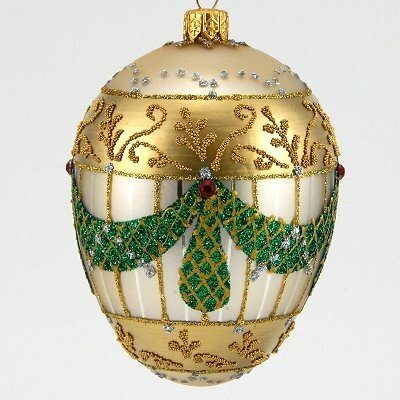 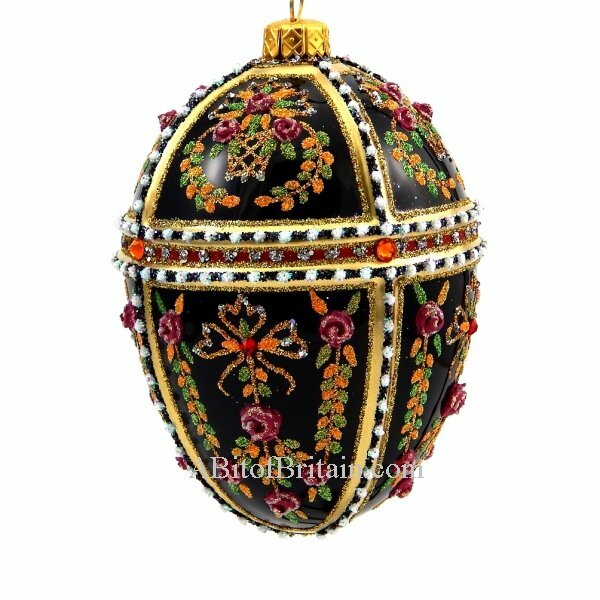 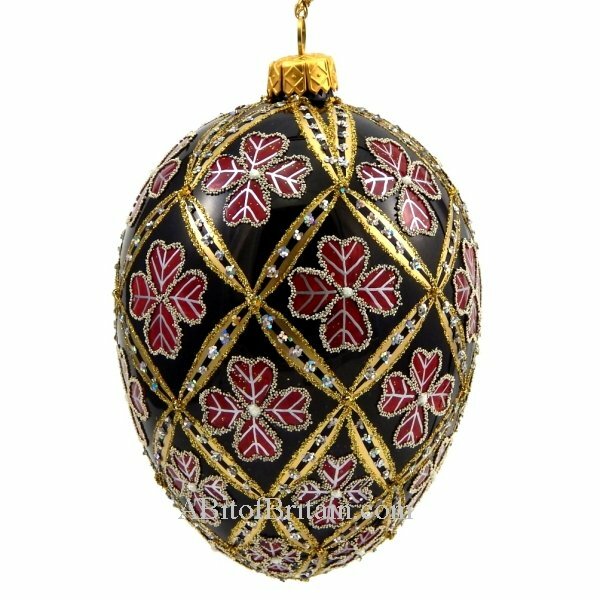 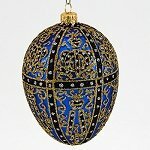 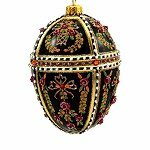 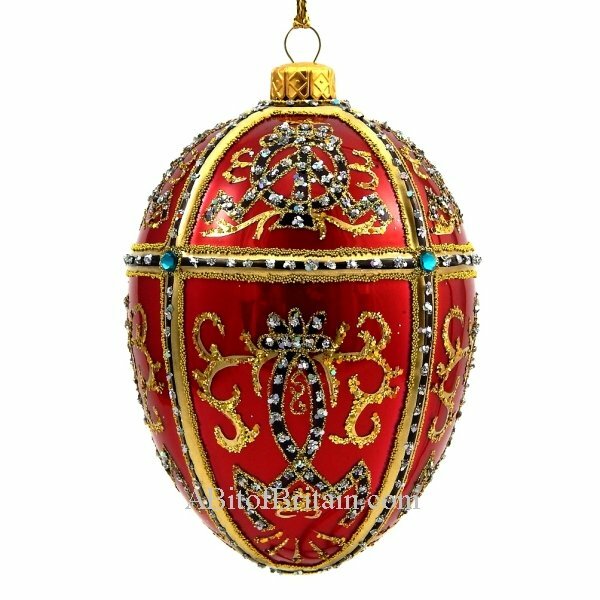 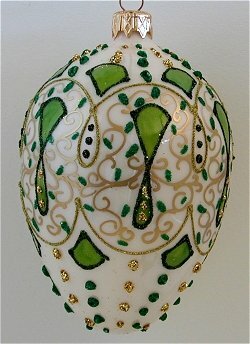 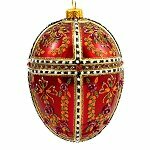 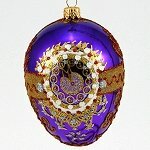 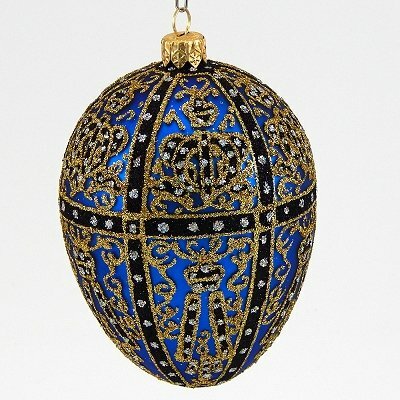 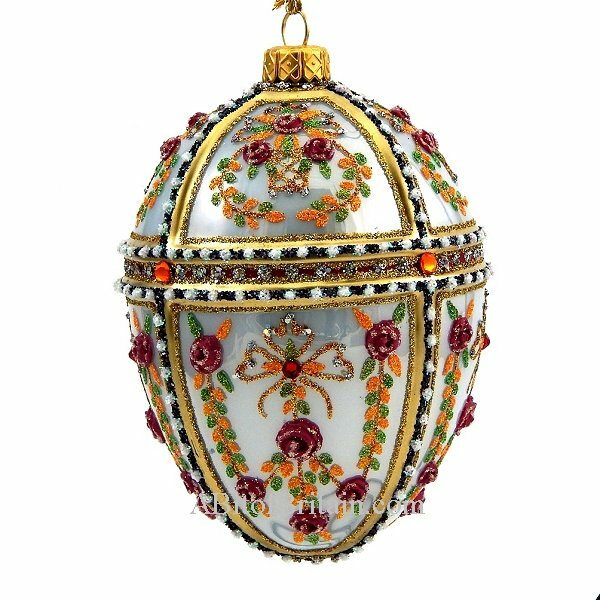 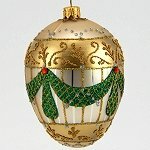 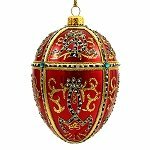 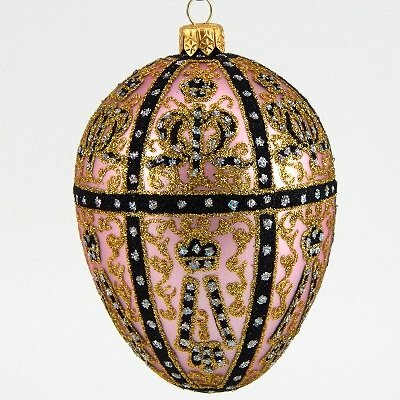 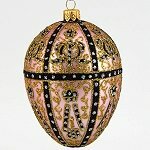 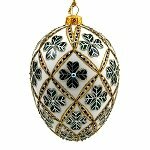 Faberge Inspired Gold Hermitage Egg Polish Mouth Blown Glass Christmas or Easter Ornament. 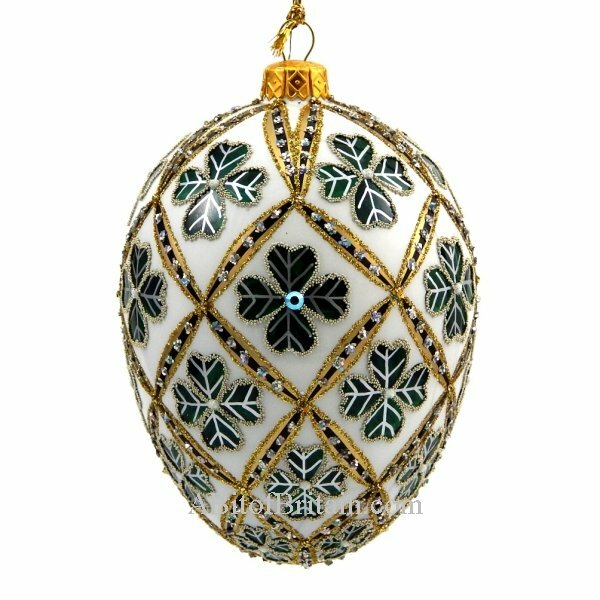 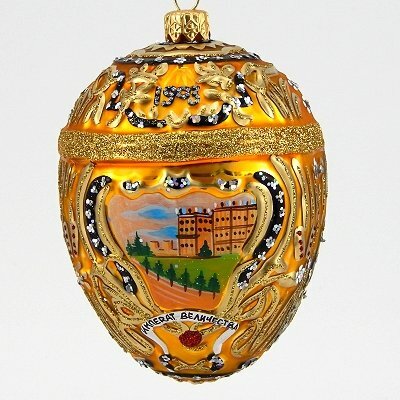 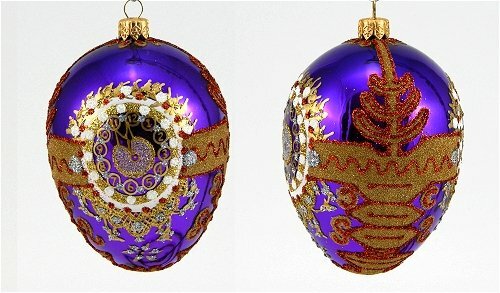 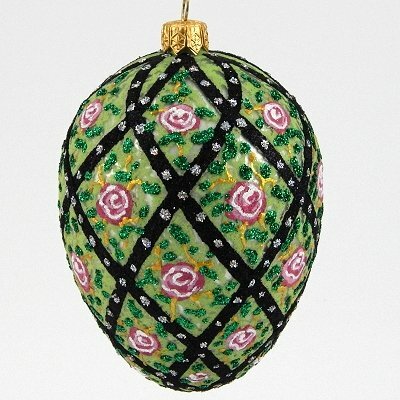 This Faberge inspired ornament is mouth blown and hand-painted by fine artisans in Poland. 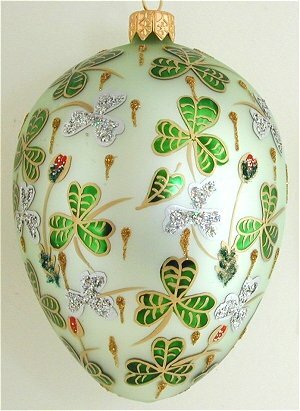 Every phase of production is done entirely by hand from the initial glass blowing stage to the final touches of glitter. On average, it takes seven production days to make each piece . 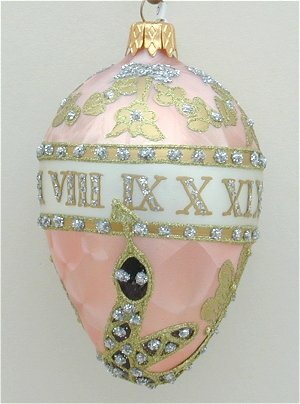 Please note the care taken in the applying of the glitter and the small crystals to each of these beautiful eggs. 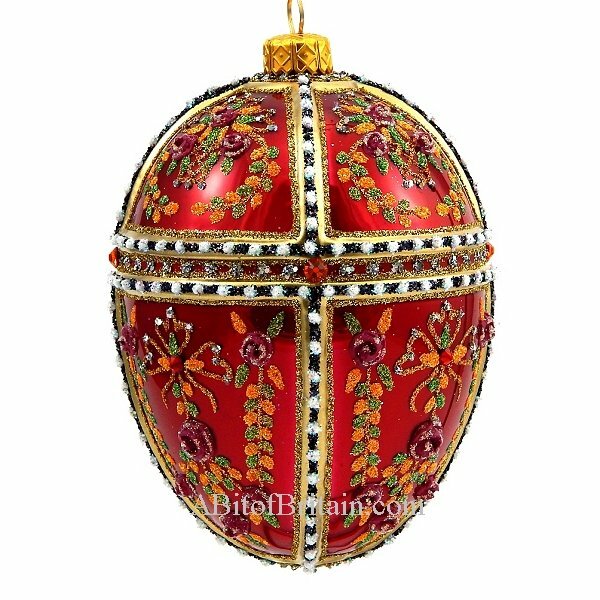 They are truly exceptional additions to your holiday décor. 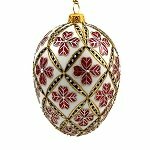 You may not want to put them away when Christmas is over but choose to display them year round.